This year, gluten is not invited to your Thanksgiving feast! 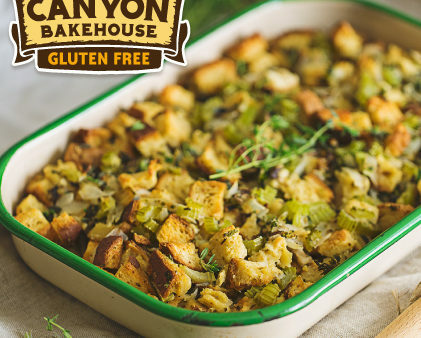 Gather friends and family and gobble up this delicious traditional gluten-free stuffing. View our step-by-step video guide here: https://goo.gl/uPBLyr. Preheat oven to 350˚ F. Grease a 9 x 13-inch casserole dish and set aside. 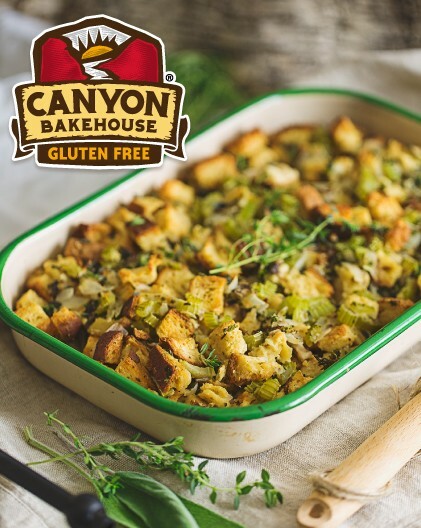 Place chopped bread on a baking sheet and bake until lightly toasted, about 20 minutes, stirring halfway through.